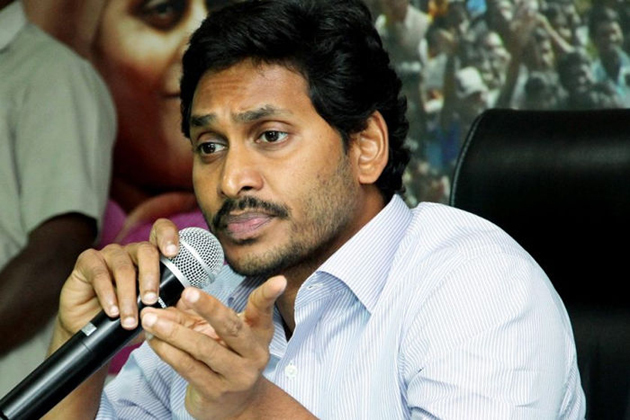 YSRCP chief YS Jagan has begun implementing his third strategy against the TDP. The first one was to expose the corruption in the Government schemes. The second was to put him on the dock over the issue of special status issue and weaken him politically. The third strategy is to hit at Chandrababu's financial muscle. With this, he will cut Jagan's money power so that he cannot buy votes the way he did last time. Minister Narayana is Chandrababu's money bag. He used to provide money to Chandrababu even earlier. But, in 2014, he used his money power especially in North Andhra. For this, he was given the ministry post. He also holds the all important post of Capital Area Development Committee head. Thus, he is the biggest money bag for the party even in 2019. During the last four years, his educational institutions have grown many fold thanks to Chandrababu's support. Now, Jagan is planning to attack this money bag. In all his speeches, he has begun attacking 'corporate' education in a big way. He said Narayana group is running seven unauthorized colleges. He said Narayana did not need permissions because his co-brother is the education minister. Now with Jagan's inspiration, a massive agitation is building up against Narayana Institutions in Nellore. On his part, Jagan is raising this issue everywhere during his Praja Sankalpa Yatra. He says he would bring down the fees in corporate institutions when he comes to power. This assurance is sure to find a resonance in the state as at least one member from every family is studying in Narayana institutions. Thus it has the potential to snowball into a major electoral issue. In another development, TDP leaders are going to file petitions in courts against corporate educational institutions. They want courts to direct the corporates to collect the fees only according to the GO. So, Jagan will kill two birds in one shot!! Is High Command Unhappy With Jaipal Reddy?